The father of the man who left a woman to die in a fiery wreck in Brooklyn called his son ‘crazy’ in a teary-eyed interview with the New York Post. Mohammad Azam thinks his son may have been scared when he walked away from his burning car and hailed a cab to take him to a nearby hospital. 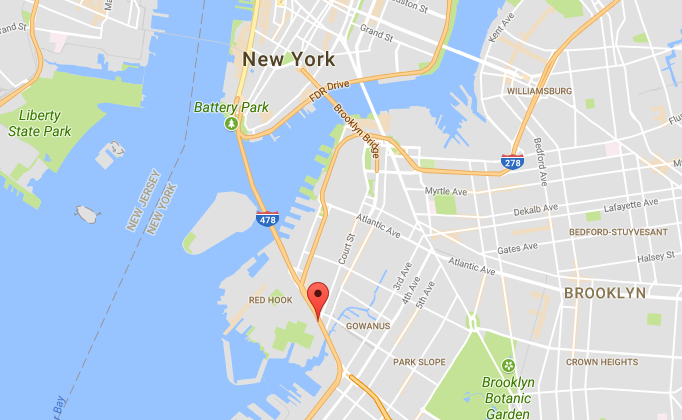 Saeed Ahmad, 23, crashed his 2007 Infiniti G35 into a concrete barricade on the Gowanus Expressway on Friday, Oct. 13. An ABC7 exclusive video shows him walking calmly to a cab and asking, “Can I get a ride? In the meantime, Harleen Grewal, 25, was inside the fiery wreck. Firefighters who later recovered her body say she likely died from the burns since the damage from the crash was not severe. Azam he said he didn’t know the girl or the details of the events that led up to the crash. Azam also criticized the taxi driver who took Ahmad to the hospital. Ahmad was recovering at the hospital as of Monday noon. Police charged him with manslaughter, criminally negligent homicide, leaving the scene of an accident, aggravated unlicensed operation of a vehicle, and speeding. A police source also said that Ahmad had been drinking before the crash. “She was an Angel. Good soul. Always making sure the person next to her is happy,” her boyfriend Kharan Dhillon wrote on Facebook. Ahmad’s brother stood up for him, saying Ahmad tried to get Grewal out of the car until the flames overwhelmed him. “He lost his phone in the car [and was] unable to call the ambulance,” Ahmad, 21, said of his older brother. “He tried to get her out. That’s how his hands and his legs and his neck got burned.